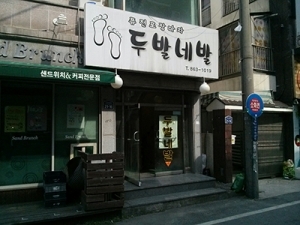 This article presents a guide to some drinking venues in Eoeun-dong popular amongst KAIST students. According to the 2011 Global Status Report created by the World Health Organization, South Korea ranks 11th for alcohol consumed per capita. It should come as no surprise then that alcohol consumption is a major part of the college culture in this country. As a freshman, the prospect of being invited to drink with upperclassmen can be daunting. Defined as the act of recovering from a hangover in the form of eating certain dishes, hejang is a unique feature of the Korean drinking culture. In fact, the word has no accurate translation in any other known language. Although it is not widely practiced abroad, hejang is a natural concept in Korea, to the point where restaurants specializing in hejanggook. While drinking alcoholic beverages is often viewed as an acceptable form of hedonism and even discouraged in some cultures, Korean society’s views of sul (translated as alcoholic drinks) are a little different. In Korea, Christmas does not hold such a big meaning as it does in other Western countries and thus, is not so much characterized by interesting Christmas cultures. To most people, Christmas is a day for going out on a date if you are in a relationship, or for the less fortunate, it is just a day for watching Home Alone or the Harry Potter series while munching on a pack of potato chips. Christmas can offer you that magical moment you have always longed for. While it may seem tedious and painstaking to walk through the cold weather of December, do not let this Christmas pass you by without its magical moment. Why not design your own Christmas date schedule in Daejeon to perfect your relationship? These are just a couple of ideas that may help you. ·[Culture] Christmas is a Couples’ Holiday? Not This Year! In Korea, the time of the year most hated and feared by singles is probably Christmas. For some reason, Christmas in Korea has evolved into a holiday for couples. When Christmas Eve rolls along, swarms of lovey dovey couples crowd the streets, shamelessly flaunting their romance in public. B-boys and beat-boxing, once attributed only to coarse street culture, have found their way to the formal stage as musicals, and have not only experienced great commercial success but also showed what potential the genre has to show in the times to come. Musicals have gained so much popularity, especially in the recent years, and have reached the point of being equally, or even more, appealing as moviegoing for some people. All the more so, given their increasing accessibility, interactive atmosphere during the performance, dynamic unfolding of the story with ad-libs, and diverse topics target different parts of the population. Musicals have been gaining much popularity in Korea. Going to the theater to watch a live performance of a famous musical has become one of our favorite pastime activities. Here at KAIST, you can also learn to enjoy musicals through the course titled The World of Musicals. 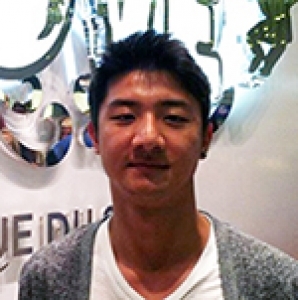 Despite its small community, KAIST has brought forth quite a few well-known music bands. Among those bands is Band E.T. This band repeatedly shows up on the lineup list of many live band clubs or music festivals in Daejeon. The band’s music is as peculiar as its name, with its characteristic space-like sound that you cannot find anywhere else. ·[Culture] What Do You Know About KAMF? 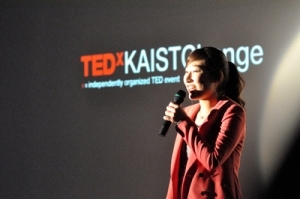 On April 14, TEDxKAISTChange was held in the Applied Engineering Building’s Media Lecture Room with three invited speakers and fifty attendees. With three previous successful events on campus, TEDxKAISTChange was the fourth installment under the same theme as TEDxChange – a special project by TED and the Bill & Melinda Gates Foundation – held on April 5 in Berlin. Futsal is a rising sport among the KAIST community, becoming more popular by the day. After the construction of futsal fields last year, many students have taken the opportunity to play futsal with friends. Aquila, a futsal group on campus consisting of fifty passionate players, has organized an on-campus tournament this month for KAIST students only. Since its founding last year, Son Su Rae has been active in organizing various activities around the KAIST campus to help make the university a “fun place to be.” This year, Son Su Rae is holding a joint club event, Club Son Su Rae, for KAIST students to enjoy the Son Su Rae club on the first day and the club Cocoon on the second day of the party. Cultural activity courses for Leadership III are offered every semester to provide new students with opportunities to try something different from the subjects normally taught at KAIST. Senior students who have completed Leadership I and Leadership II courses and are interested in teaching a Leadership III course can apply to become teaching assistants and establish their own courses. A sample of the diverse selection of special lectures at the leadership center. Every semester, the Leadership Center offers special lectures on everything from playing the saxophone to coaching and speech presentation skills. Lasting about ten weeks, these classes give the students a chance to learn something other than science and engineering-related topics during their leisure time.